Parisian talent Timothée Suillaud, aka Blazers, has emerged as a budding favourite of many within France’s ever-evolving house and disco scene over recent years, with appearances at notable institutions including Panic Room Paris and La Belle Elecronique alongside artists such as Detroit Swindle and Lazare Hoche becoming regular fixtures in the diary. Having released his original of ‘Side2Side’ on Skint back in November 2018, picking up a string of BBC Radio 1 plays from Pete Tong, Annie Mac and Mistajam, and gaining further support from the likes of Soul Clap, Artwork and Horse Meat Disco through to A-Trak and Loco Dice, the label now reveals a fresh set of interpretations for 2019 from Cousn and Ashley Beedle set for release throughout February. UK pairing Cousn’s interpretation sees the duo draw for skipping percussion licks, hazy funk-fueled chords and spiraling synth lines alongside the original’s infectious vocal samples to deliver a driving yet playful slice of house music. 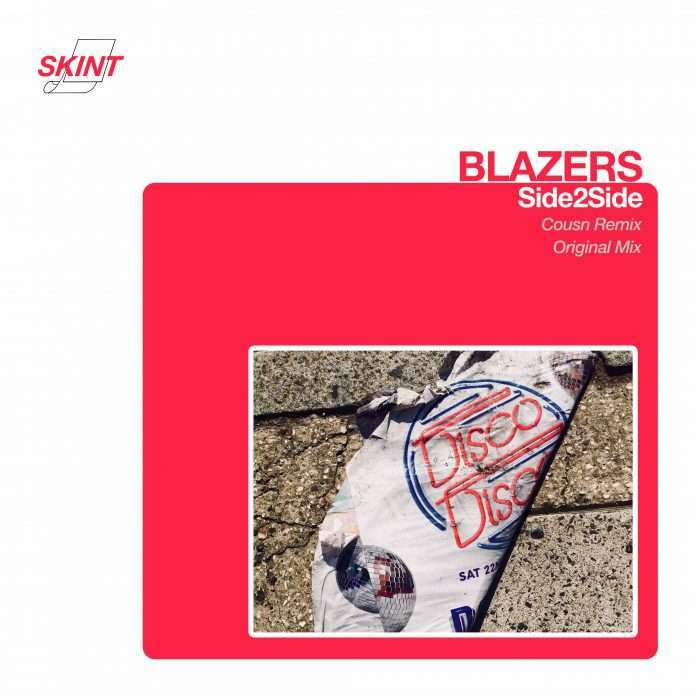 Blazers ‘Side2Side’ (Cousn Remix) is out on Skint on 8th February 2019, with Ashley Beedle remixes to follow.